Iridescent, rainbow-like luster, black spiked cascading Carborundum Crystals, also known as Silicon Carbide from Poland. Although man made it is a valid classification, composed of tetrahedra of carbon and silicon atoms with strong bonds in the crystal lattice, excellent semi conductor as pure Silicon is poor conductor. 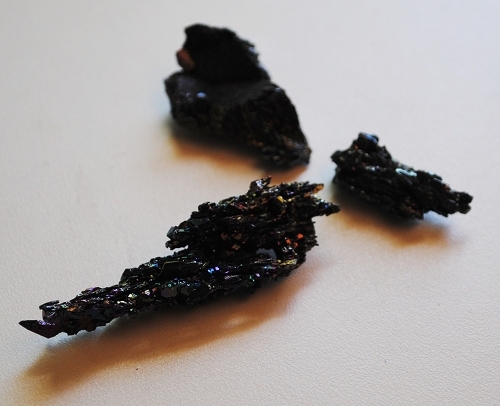 Carborundum was discovered in 1891 in an attempt to create diamonds using electricity. 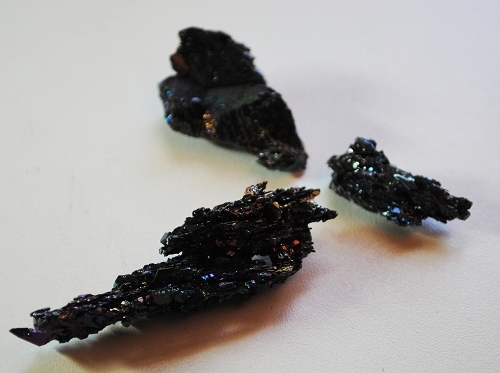 Carborundum is known to be a master healer that shines light in all areas of your life and connects to all chakras, purifies mind, body and spirit. 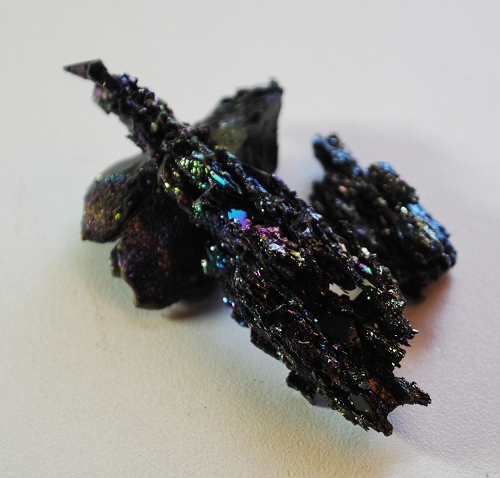 Carborundum crystals encourages intuition and discernment. 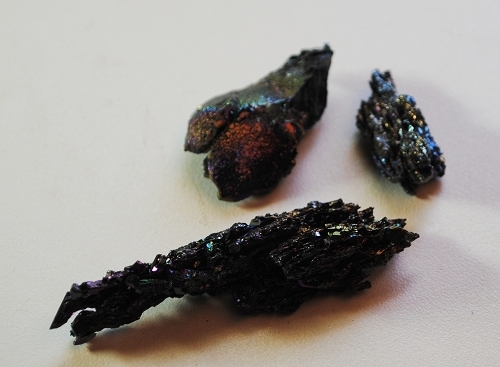 Carborundum crystals may be helpful with the elimination of headaches, easing eye strain and any computer related injuries.